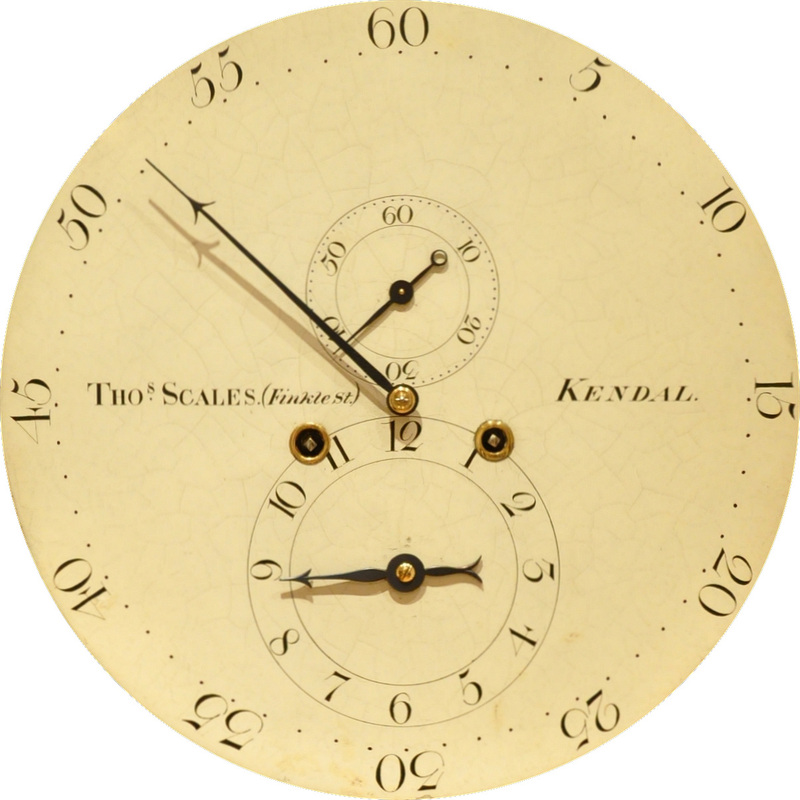 Maker: Thomas Scales - Jeweller and Dentist, Finkle Street Kendal. 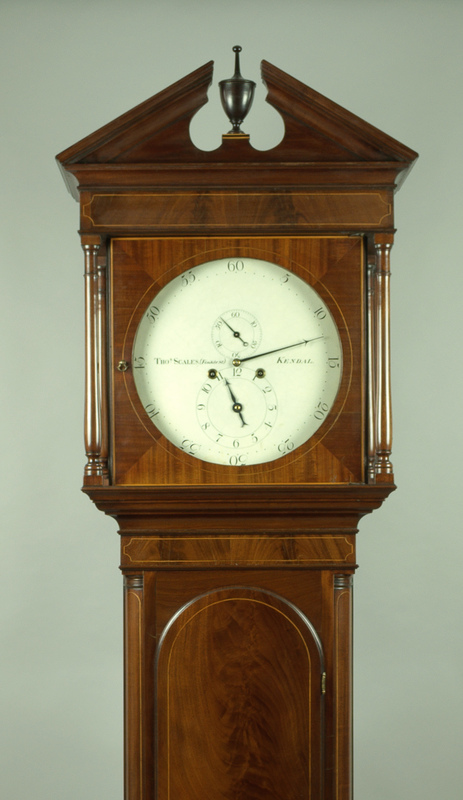 The flame mahogany case is of the finest proportions and is typical in design of clocks made in the Kendal/Lancaster area by the cabinet makers Gillows of Lancaster c.1800. 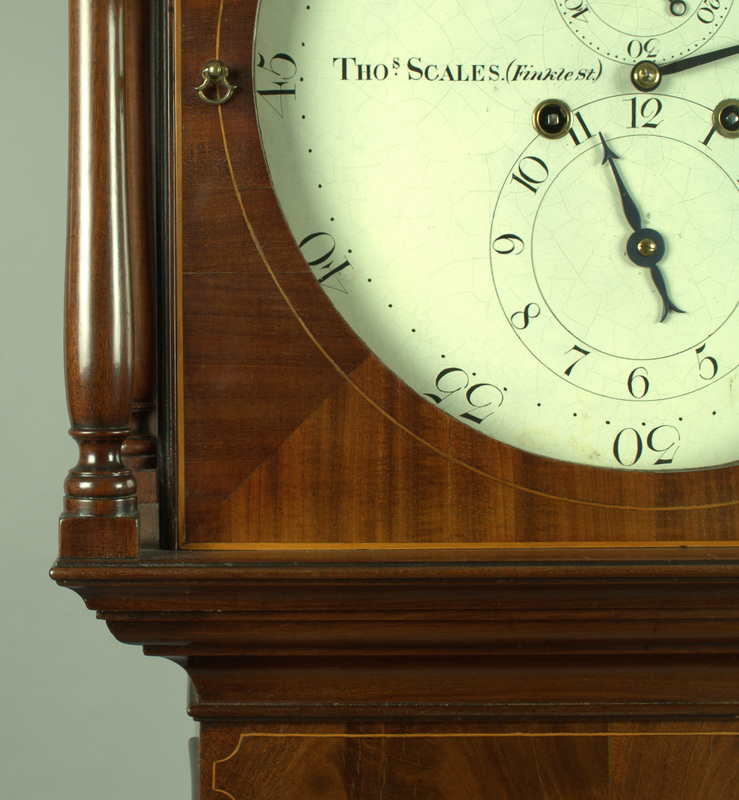 The cabinet is inlaid throughout with boxwood stringing. The architectural pediment hood is surmounted by the original carved urn wooden finial of Gillows design. 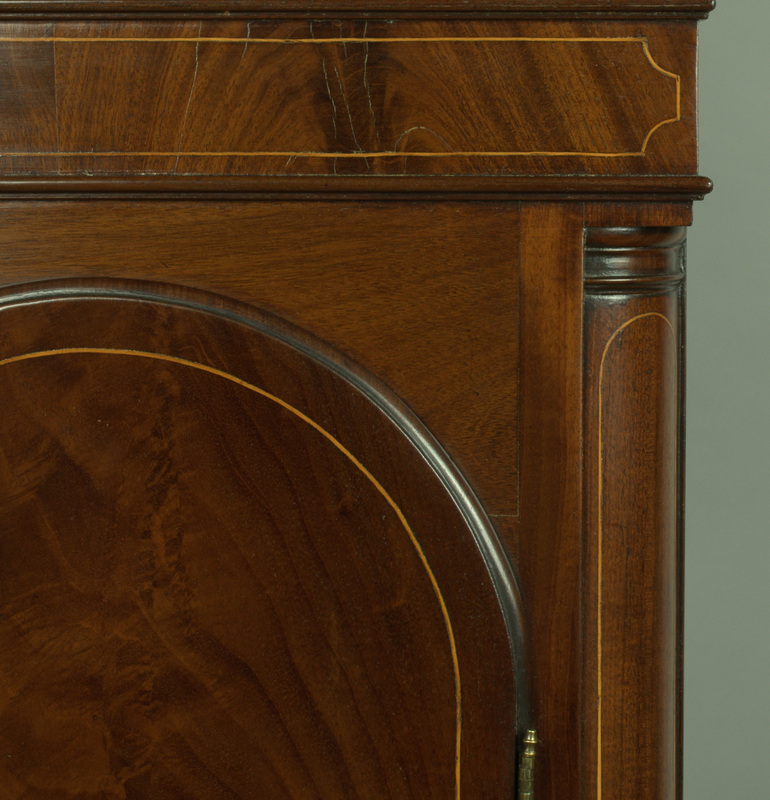 The inlaid hood door is flanked by finely turned and shaped columns to the front and rear. The flame mahogany long trunk door with arched top is flanked by inlaid quarter turned columns, which are capped with turned wooden capitals (Typical Gillows design). 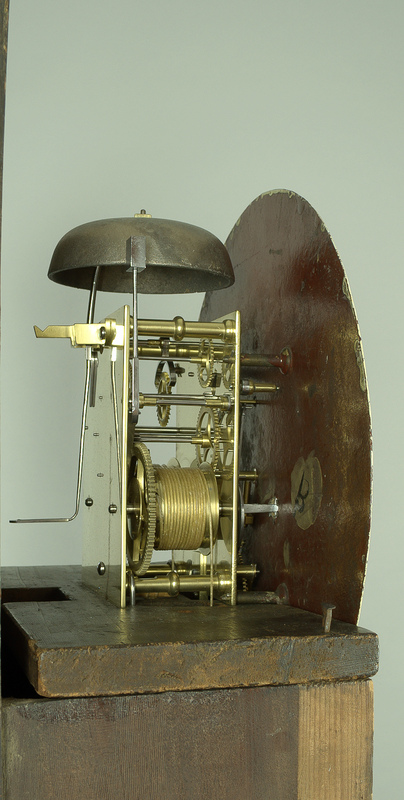 The inlaid canted base, with ogee bracket feet. 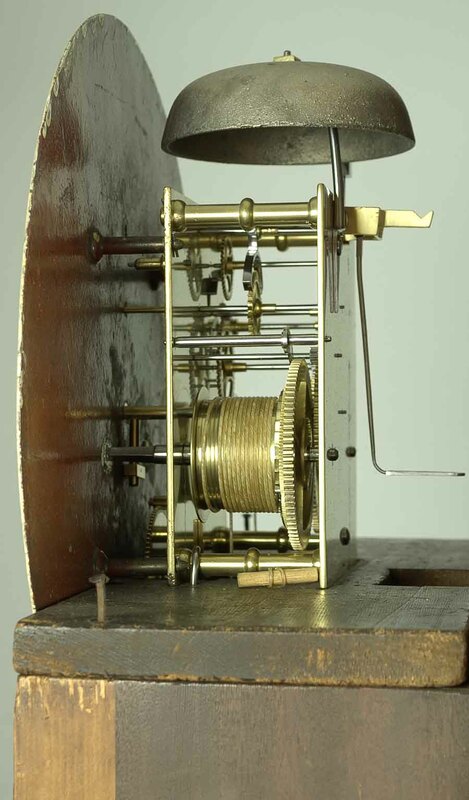 The circular enamelled dial is of elegant design with observatory regulator markings. Original cast iron weights and heavy brass bob pendulum with steel strap.